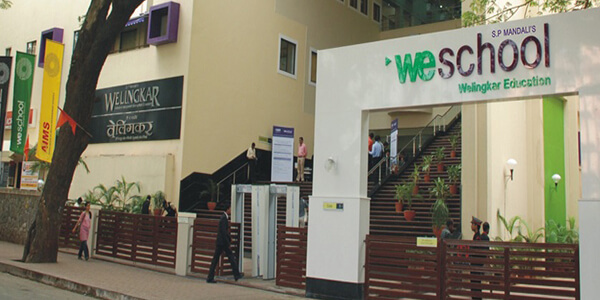 L.N Welingkar Institute of Management Development and Research Bangalore was established in the year 1977. This college is amongst the multiple educational Institutes governed and run by S. P. Mandali. This College is located in Bangalore and it is recognized by All India Council for Technical Education (AICTE) and accredited by National Board of Accreditation (NBS).Our main vision is to tread the path that leads to corporate revolution. This college chose design thinking approach towards management education. Main dream of this college is to create an environment conductive to experimental learning. This college has world class infrastructure and facilities in Bangalore. This college also has alumni network with more than 4000 members. Faculty of this college are very well experienced and qualified to teach the students both theoretically and technically. L.N Welingkar Institute of Management Development and Research Bangalore is a demonstration of their intent. Class rooms of this college have latest audio visual facilities. Class rooms are spacious and well furnished. IT centre is present in the campus with high speed internet facility. Library of the college has plenty of references and books which are necessary for student’s knowledge growth. Reading hall is also present for studies during exams. Sports facilities like indoor sports, outdoor sports and gymnasium is also present in the campus. For disabled student’s ramp, lift and rest rooms are present everywhere. Medical facilities are available in college. Doctors are always available in the campus to treat students in college and hostels. College has effective student council like HR club, Finance club, marketing club etc. which is driven by students. Placement cell is also present in the college where placements and recruitment for students is undergone. College has Amphitheatre, Hobby kitchen, Prototype labs, and Innovation labs. Transport facility is also available for the students who stay in nearby places. Hostel facility is available for both girls and boys will all the basic amenities. Take fee structure and go for management quota, nri quota direct admissions. A candidate must have scored 50% in degree exam from any of the recognized university. The candidate should have appeared for CAT or MH-CET or CMAT or XAT or ATMA or GMAT.